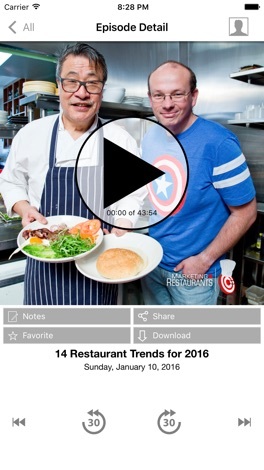 This is the most convenient way to access Secret Sauce - The Restaurant Marketing Show. 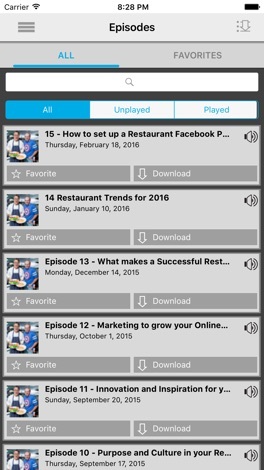 Every month, thousands of restaurant owners just like you listen to the podcast, read our blogs, and read the 5 minute a day Restaurant Marketing MBA. James and the team travel the world talking to Restaurant owners to find the best way for you to find new customers and turn them into repeat customers. We've built a database with over 10,000,000 data points to work out what works in Restaurant Marketing and we share this with you in Secret Sauce - The Restaurant Marketing Show. With this app you are always connected to the latest episodes and the show. Quickly star episodes and save them to a list so you can easily enjoy them over and over! This app has a Car mode too! Rotate your phone to display larger playback controls. It is the best and most convenient way to access Secret Sauce.